Safer blasting at Xstrata’s Bulga Coal mine (0) March 4, 2011 Xstrata is trialing new blasting products at its Bulga Coal mine. Queensland coal operating at two thirds capacity (0) March 4, 2011 Following the devastating floods and cyclones that hit Queensland, the coal industry has managed to bounce back to two thirds of its capacity. 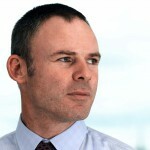 Komatsu appoints new MD (0) March 3, 2011 Komatsu Australia has appointed Sean Taylor as its new managing director. 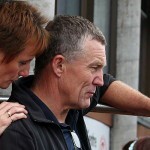 Pike River Coal disaster families get payout (0) March 3, 2011 The families of the miners killed in the Pike River coal explosion will each get NZ$ 190 000 from the Pike River Disaster relief trust. 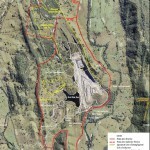 Cobbora Coal mine water study being withheld, Council claims (0) March 3, 2011 A Mid-Western Region councillor is claiming that information on the potential impact of the Cobbora Coal project on water supplies is deliberately being withheld. Anti-mining website launched (0) March 3, 2011 Anti mining groups in Victoria have joined together to launch a website aimed to fight what they say is Australia’s dependency on coal. Zenith Awards to recognise automation professionals for outstanding work (0) March 3, 2011 The Zenith Awards reward and recognise automation professionals and process control specialists across a variety of industries including mining. Blasting at Rio Tinto’s Blair Athol Coal Mine [Video] (0) March 3, 2011 Close up clip of blasting at Blair Athol open cut coal mine. 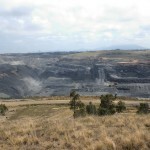 Byerwen coal mine declared significant project (0) March 3, 2011 The decision to declare the proposed Byerwen coal mine in Queensland a “significant project” has been welcomed by the Treasurer and Minister for State Development and Trade Andrew Fraser. CFMEU WA boss Kevin Reynolds retires (0) March 3, 2011 Secretary of the West Australian division of the Construction Forestry Mining and Energy Union, Kevin Reynolds, has announced his retirement. Anti-mining advertisements launched (0) March 2, 2011 A series of anti-coal advertisements has been launched by campaigners opposed to the underground coal mine near Margaret River. 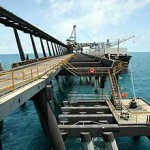 Oakajee Port struggles at costs rise (0) March 2, 2011 As continually rising capital costs hit Oakajee Port & rail (OPR), it looks more unlikely that Murchison Metals can get the project together. 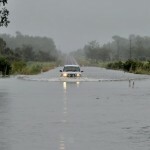 Oakajee Port struggles as costs rise (0) March 2, 2011 As continually rising capital costs hit Oakajee Port & rail (OPR), it looks more unlikely that Murchison Metals can get the project together. 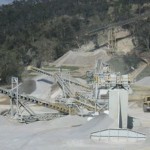 Overburden blast in Queensland [Video] (0) March 2, 2011 Blasting overburden at an unnamed Queensland mine. Christchurch earthquake delays Pike River Commission of Inquiry (0) March 2, 2011 The preliminary hearing of the Royal Commission of Inquiry into the Pike River Coal mine tragedy has been delayed due to the Christchurch earthquake. 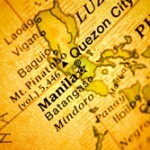 Driller fires migrant contractor at Pluto Gas project (0) March 2, 2011 The operator of a drilling rig at the Pluto Gas project has fired a contractor that supplied Filipino workers who were paid less than $3 per hour. 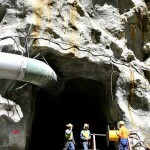 Poseidon Nickel restarts underground operations at Mt Windarra (0) March 1, 2011 Poseidon Nickel has restarted underground refurbishment operations at its Mt Windarra mine. 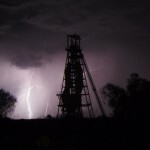 Mining adds to WA’s $1.1 operating surplus (0) March 1, 2011 The higher royalties for iron ore has taken the Western Australian finances from deficit to an opening surplus of $1.1 billion. 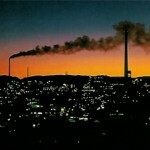 Indian steel-makers want Australian coal assets (0) March 1, 2011 Indian steel-makers are buying Australian mines to overcome the increase in coking coal prices. Fatigue Risk Management (0) March 1, 2011 The New South Wales Mine Safety Advisory Council has released a fatigue risk management chart. Push for a national heavy vehicle law (0) March 1, 2011 A proposal has been put forward for a single national heavy vehicle law by the National Transport Commission and National Heavy Vehicle Regulator Project Office. Massive Tasmanian blasting at Savage River (0) March 1, 2011 Grange Resources has carried out blasting seven times more powerful than any seen before at Savage River. Protestors set up at Iluka mine (0) February 28, 2011 Anti-mining protestors have set up a permanent camp site at the entrance to the Iluka mine in Victoria. 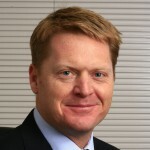 Coffey International appoints new CEO (0) February 28, 2011 Coffey International has appointed John Douglas as its new managing director and CEO effective 1 March. 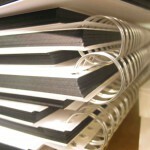 Government considers 20 000 extra skilled workers for resources sector (0) February 28, 2011 A new plan being considered by the Gillard government could help fill the gaps in the skilled workers shortage. Tasmania debuts new safe mining laws (0) February 28, 2011 Tasmania has added new requirements to its workplace safety laws to make mining safer in the State. Fortescue announces billion tonne iron ore resource (0) February 28, 2011 Fortescue Metals Group has announced the discovery of a formation of more than one billion tonnes of Brockman iron ore.
Kalgoorlie-Boulder miners charged with stealing gold (0) February 28, 2011 Two mine employees in the Kalgoorlie-Boulder will face court next month, accused of stealing up to $1 million worth of gold and hiding it in nearby bushland. Aeropelican offers coal and CSG FIFO for Narrabri (0) February 28, 2011 Aeropelican has extended its passenger services from Narrabri in the NSW north west. 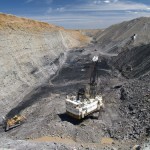 Traditional land owners in Tennant Creek approve deal for phosphate mine (0) February 25, 2011 Traditional land holders in Tennant Creek have signed an agreement to mine Australia’s largest phosphate deposit. 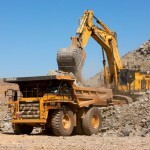 Japanese mining solutions (0) February 25, 2011 The Japanese may be the next big contributors to developments for the mining industry, with groundbreaking developments that can be used to find and reach resources. 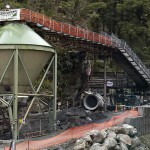 Christchurch quake delays Pike River investigation (0) February 25, 2011 The tragic Christchurch earthquake has delayed the plan to send a robot into the Pike River coal mine. 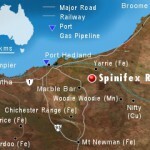 Rio Tinto expands Alcan Weipa mine by $1 billion (0) February 25, 2011 Rio Tinto’s $1 billion expansion at the Alcan Weipa bauxite mine will employ 630 people in the construction phase, due to start next year. Xstrata to be QLD’s first magnetite concentrate exporter (0) February 25, 2011 An $8.6 million storage expansion to allow Xstrata to accommodate an extra 1.2 million tonnes of magnetite concentrate per year at the Port of Townsville is almost complete. Mine fatigue crackdown (856) February 24, 2011 A Queensland coroners report has called for sweeping changes in how the mining industry handles fatigue. Australia and Mongolia work together on mining future (0) February 24, 2011 Prime Minister Julia Gillard has welcomed closer ties with Mongolia as Australian mining continues in country. West Australian mine receives heritage listing (0) February 24, 2011 A West Australian ochre mine has been acknowledged as the oldest working mine in Australia. 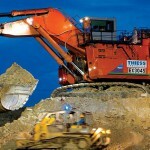 Rio Tinto receives offer for talc operations (0) February 24, 2011 Rio Tinto has received a binding offer of US$340 million from Imerys for its talc business. 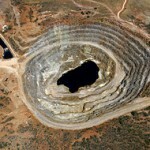 Accommodation for 250 approved at Peculiar Knob mine (0) February 23, 2011 One of Australia’s biggest off-site construction companies has secured a contract to supply accommodation for WPG Resources’ $140 million mining project in central South Australia. ADG wins Traverse Drilling contract (0) February 23, 2011 ADG Global Supply today announced a new Global Procurement and Supply Chain Management contract with Traverse Drilling International. 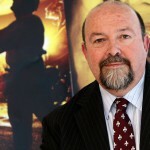 Skills shortage will worsen: Xstrata (0) February 23, 2011 The difficulties with staff recruitment and retention will only worsen as the resources industry undertakes massive expansion in the next five years. 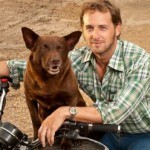 SA govt considers Arkaroola mining ban (0) February 23, 2011 South Australian Premier Mike Rann has told state parliament the total mining ban on the Arkaroola Wilderness Sanctuary is being considered but a final decision has not been made. 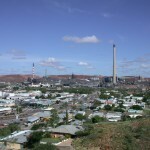 Xstrata Mount Isa Mines facing $1 million lead claim (0) February 23, 2011 Xstrata’s Mount Isa Mine is facing a compensation claim of $1 million over alleged lead poisoning. 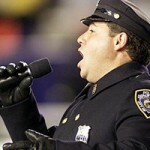 Tinkler withdraws Knights offer (0) February 23, 2011 Nathan Tinkler has withdrawn his 10 year, $100 million offer to take over the Newcastle Knights. 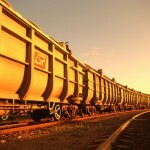 Billion dollar Surat Basin rail on track for Xstrata (0) February 23, 2011 A $300 million investment has kept the coal rail project from the Surat Basin to the Port of Gladstone on track. 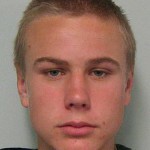 QLD Govt approves relocation of BMA’s Caval Ridge workers camp (0) February 22, 2011 An application by mining company BMA to relocate a large mining camp in Queensland’s central highlands has been approved by the state government. 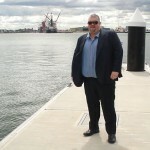 WesTrac profit skyrockets (0) February 22, 2011 WesTrac earthmoving equipment group has posted a first half earnings rise of 41 percent, above its own forecasts. 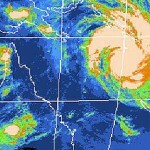 Weather still damaging Pilbara mines (0) February 22, 2011 The weather issues associated with Tropical Cyclones Dianne and Carlos are still hampering mining operations in the Pilbara region. 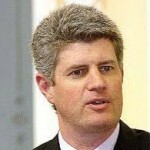 QLD appoints new mining minister (0) February 22, 2011 The Queensland Government has appointed Stirling Hinchliffe as the new minister for employment, skills and mining. 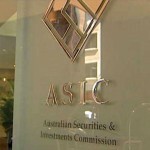 Forrest fights ASIC appeal against Fortescue (0) February 22, 2011 Andrew ‘Twiggy’ Forrest and Fortescue Metals Group are launching a high court action against the decision to uphold the Australian Security and Investment Commission’s appeal. 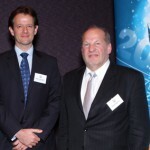 Fortescue; Forrest, disappointed by ASIC appeal loss (0) February 21, 2011 The Australian Securities and Investment Commission have won its appeal against the Fortescue Metals Group. QLD mining safer (0) February 21, 2011 A report from the Queensland Department of Mining and Energy has emphasised improved mining safety levels in the State. WA MidWest prepares for cyclones (0) February 21, 2011 The West Australian MidWest region is today preparing for floods as Cyclone Carlos is expected to reform off the coast. 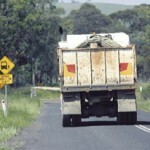 Complaints follow blasting at Broke (0) February 21, 2011 Hunter Valley residents have complained to the NSW environmental minister after seeing more orange dust plumes following blasting. Xstrata facing court in Mt Isa (0) February 21, 2011 Xstrata Mt Isa Mines is facing court proceedings over alleged charges of negligence. FIFO fight hits Queensland parliament (0) February 18, 2011 The ongoing battle between mining companies and communities has reached a boiling point. 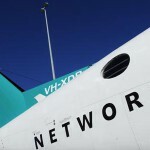 FIFO workers benefit from Qantas WA fleet expansion (0) February 18, 2011 Qantas continues to address the transport issues of the resource industry’s fly-in, fly-out (FIFO) workers, with another 17 planes added to their fleet. 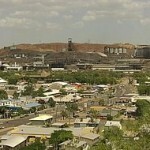 Queensland uranium ban sparks union clash (0) February 18, 2011 Another clash is expected between pro and anti uranium mining unions in Queensland. 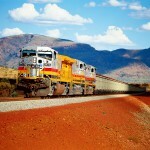 QR sign coal haulage agreement with Anglo-American (0) February 18, 2011 QR National has signed an agreement with Anglo-American to haul coal from its Capcoal mine to Gladstone. 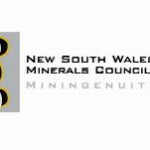 Mount Windarra nickel mine to re-open (0) February 18, 2011 In an agreement with GSM Mining, Poseidon Nickel is hoping it will have the Mount Windarra nickel mine, near Laverton back up and running by 2012. Opposition builds to Matilda Zircon sand mine (0) February 18, 2011 Matilda Zircon is seeing local opposition to its proposed mineral sands mine in North Dandalup and Keysbrook, Western Australia. 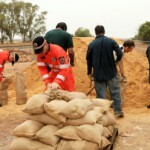 Crescent Gold mining camp evacuated (0) February 17, 2011 Emergency services have evacuated a mining camp and more than 200 people are at a relocation centre as the northern Goldfields town faces flooding. Rio Tinto rides to conquer cancer (0) February 17, 2011 Rio Tinto is the latest mining company to join the fight against cancer, announcing a three year partnership with the Queensland Institute of Medical Research (QIMR). 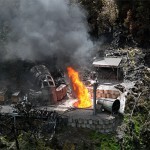 Pike River Coal owes $110 million (0) February 17, 2011 The first report on the financial state of the Pike River Coal mine has been released, and receivers say the total debt is around $110 million. 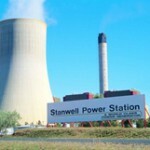 Self-combusting fire at Stanwell Power Station contained (0) February 17, 2011 A fire raged out of control at the Stanwell Power Station on Tuesday night, and fire fighters raced to control the blaze. 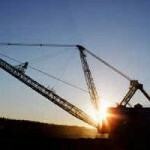 Three workers injured at Peak Downs coal mine (0) February 17, 2011 Three workers were taken to hospital following a truck tyre explosion at Peak Downs coal mine. 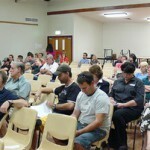 More FIFO miners for Blackwater and Moranbah (0) February 17, 2011 Locals in the Queensland towns of Blackwater and Moranbah are being given their say on the development of more accommodation for FIFO miners. 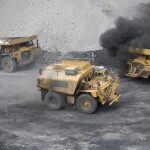 BHP Billiton profits prove need for mining tax: Swan (0) February 16, 2011 Federal Treasurer Wayne Swan has used BHP Billiton’s massive $10.51 billion profit as a reason to why Australia needs a resource tax. 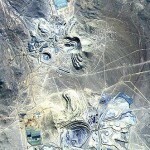 The world’s largest recorded mining blast [Video] (0) February 16, 2011 Footage of what is claimed to be the world’s largest mining blast. 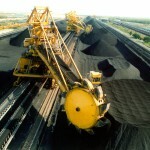 Thiess developing coal infrastructure in India (0) February 16, 2011 Australia’s largest contract mining company, Thiess, is establishing coal processing infrastructure in India. Coalition to halt new mining projects for food security (0) February 16, 2011 The Coalition plans to halt all new mine and gas exploration licenses for up to a year if elected next month. 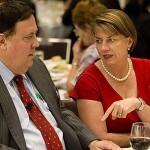 Strategic land use key to regional future, Williams says (0) February 16, 2011 The Coalition’s Strategic Regional Land Use Policy is a critical step forward for communities, miners and land users across the State, NSW Minerals Council CEO Nikki Williams said today. Kloppers feared Chinese espionage but offered secrets to US: WikiLeaks (0) February 15, 2011 A secret cable release by WikiLeaks paints BHP chief executive Marius Kloppers as a paranoid man who fears espionage from China, his competitors and partners and the Australian government. Korean bid for Whitehaven Coal (0) February 15, 2011 Korea Resources has submitted a bid for Australian mining group Whitehaven Coal which has a market value of almost $3.6 billion. 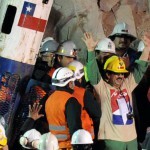 Chilean Rescue a lie: author (0) February 15, 2011 The seamless rescue of the 33 men trapped in a Chilean mine last October was apparently a media beat up . The threats faced mining in the Phillipines (0) February 15, 2011 Gavin Greenwood, an Associate at Allan & Associates, investigates the security and insurgent risks miners face in the Philippines. 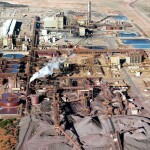 BHP Billiton may face mine safety charge at Olympic Dam (0) February 15, 2011 BHP may be charged over a safety incident at the Olympic Dam mine in 2009. 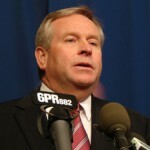 Barnett sees flaws in WA local content laws (0) February 14, 2011 New laws that ensure local firms gain work from major projects has been criticised by Western Australian Premier Colin Barnett. 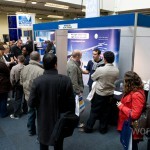 Xstrata’s biggest ever expo begins (0) February 14, 2011 Additional floor space has been needed in the set up for the 2011 Xstrata Mount Isa Mining Expo, with much higher demand from exhibitors than expected. 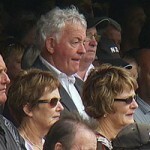 Record profits for Newcrest amid CEO’s retirement (0) February 14, 2011 Ian Smith has unexpectedly announced plans to step down as mining chief of Newcrest mining, as the company records a record first-half net profit of $437.8 million. DMP launches online minerals pilot program (0) February 14, 2011 The West Australian Department of Mines and Petroleum has launched the first Australian online minerals pilot program. 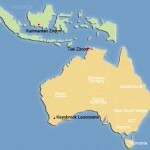 Emeco see Indonesian post tax impairment (0) February 14, 2011 Mining machinery hire and rental company Emeco Holdings has incurred a post tax impairment charge of $5.9 million. 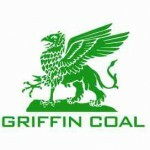 Griffin Coal still bringing in cash for Ric Stowe (0) February 14, 2011 Collapsed coal miner Griffin Coal is still paying fees to owner Ric Stowe despite owing staff and creditors nearly $1 billion. 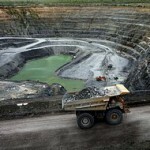 Reports of $30 billion profit for BHP Billiton (0) February 14, 2011 BHP Billiton is expected to record a massive pre-tax profit of $30 billion for the financial year. 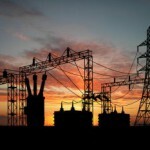 Want to know the latest from the NSW Coal & Gas Strategy forums? 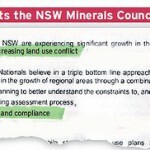 (0) February 11, 2011 To find out the latest from the forums, follow the New South Wales Minerals Council on Twitter. 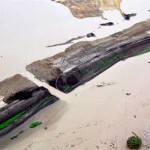 QRC labels water discharge laws too restrictive (1) February 11, 2011 The Queensland Resources Council (QRC) has called for changes to be made to the Environmental Protection Act. 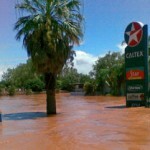 Rio Tinto makes $US 14.3 billion net profit (0) February 11, 2011 Despite the torrential weather that threatened to damage the mining industry’s year completely, Rio Tinto’s commodities are looking better now than they did at the start of last year. Mining industry gives big to prostate cancer research (0) February 11, 2011 The mining industry is continuing its assistance and support for cancer, with the Queensland mining industry donating over $36 000 to prostate cancer research. 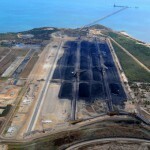 Adani Mining’s $10 billion Queensland coal project (0) February 10, 2011 A huge coal mine that will mostly produce exports for India is one step closer to completion. West Australian Mining Club continues to connect (0) February 10, 2011 The West Australian Mining Club is continuing to connect the state’s mining community and its 2011 line up is kicking off with its February function. 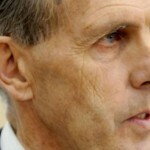 Brown blames Perth bushfires on coal industry (0) February 10, 2011 Australian Greens leader Bob Brown, has found another national disaster to blame on the coal mining industry; this time the Perth bushfires. NSW community coal and gas strategy sessions in Gunnedah (0) February 10, 2011 The NSW Government is holding the first of four consultation sessions for the development of its Coal & Gas Strategy. Muswellbrook Council against Mangoola mine modifications (0) February 9, 2011 The Muswellbrook Council has opposed a plan by mining giant Xstrata to modify its Mangoola mine in the Hunter Valley. 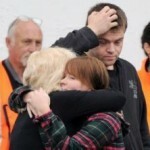 $278 000 donated to Pike River Relief (0) February 9, 2011 A New Zealand news channel has raised $278 000 in donations for the Pike River Disaster Relief Fund. 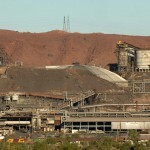 Rio Tinto invests $933 million for 16 years at Marandoo iron ore mine (0) February 9, 2011 Rio Tinto has approved a $US 933 million investment to extend the life of the Marandoo iron ore mine by 16 years to 2030. 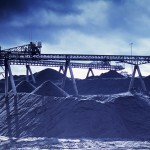 EPA rejects Central West Coal bid. 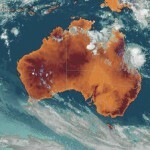 (0) February 9, 2011 The Environmental Protection Agency (EPA) has recommended the WA State Government reject Central West Coal’s mine bid. 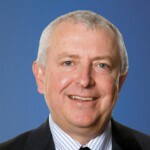 Bradken Ltd profits up almost 50 per cent (0) February 8, 2011 Bradken Limited has reported a net profit of $38.2 million in the December 2010 half year, a 49 per cent increase from the same period the previous year. 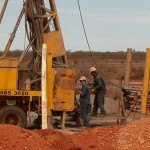 $285 million WPG Resources Peculiar Knob contract for MACA (0) February 8, 2011 Western Australian firm MACA has been given WPG Resources’ $285 million contract for its Peculiar Knob project in South Australia. 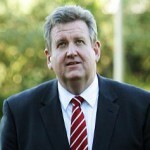 Asciano appoints John Mullen as new CEO (0) February 8, 2011 Rail and ports company Asciano has appointed John Mullen as its new chief executive. 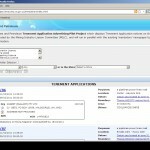 Marathon exploration license approved for Arkaroola (0) February 7, 2011 Despite being caught illegally dumping waste in the northern Flinders Ranges in 2008, Marathon Resources is getting a new mining license for Arkaroola Wilderness Sanctuary. 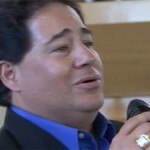 Kokshoorn says Pike River open cut mine “win-win” (0) February 7, 2011 Tony Kokshoorn, Grey District Mayor has again called for an open cast mine at Pike River. 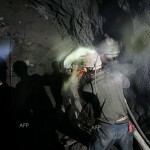 Five killed in Romanian underground mine blast (0) February 7, 2011 Five miners have been killed an underground coal mine explosion in Romania. Atlas Iron take over Giralia Resources (0) February 7, 2011 Pilbara based iron ore miner Atlas Iron has taken over Giralia Resources. 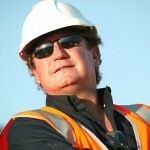 Xstrata buys quarter of Lady Loretta mine for $30m (0) February 4, 2011 Xstrata has agreed to buy Cape Lambert Resources’ 25 per cent in the Lady Loretta lead-zinc-silver deposit in northwest Queensland for $30 million. QLD coal mines undamaged by Cyclone Yasi (0) February 4, 2011 Cyclone Yasi does not appear to have damaged coal miners operating in the Bowen Bason. Queensland coal ports reopen after Cyclone Yasi (0) February 4, 2011 North Queensland Ports Corporation has reopened its coal loading ports after Cyclone Yasi passed. 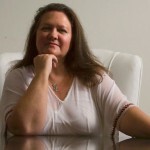 Mining magnate Gina Rinehart tops rich list (0) February 4, 2011 The daughter of mining magnate Lang Hancock has been officially named as Australia’s richest person. 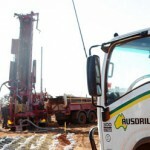 Ausdrill acquires hydrogeological drilling company (0) February 4, 2011 Ausdrill has acquired the Western Australian hydrogeological drilling company Connector Drilling. 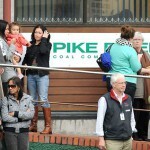 Port Waratah Coal take protestors back to court (0) February 4, 2011 Port Waratah Coal Services will see the Rising Tide activists in court next month as it pursues compensation. 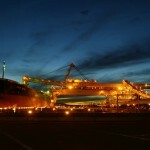 Atlas DSO resource up 24 per cent (0) February 3, 2011 Atlas Iron has reported a 24 per cent increase in direct shipping ore resources, causing shares in the company to rise. 4B Braime opens new subsidiary in Australia (0) February 3, 2011 4B Braime has established a subsidiary materials handling operation, 4B Australia, specifically for the Australian market. Caltex, Origin to source Canadian workers at expo (0) February 3, 2011 The rollout of Australian Liquefied Natural Gas (LNG) and other resource projects will greatly impact on the already dire skills shortages, and drive it to critical levels this year. 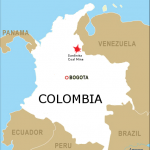 Another five killed in Colombian coal mine explosion (0) February 3, 2011 Five miners have been killed in an underground coal mine explosion at the La Escondida mine in Central Colombia.